Nature improvement areas are a landscape scale approach to environmental conservation. The first 12 NIAs were announced by the Government in 2012 and Dearne Valley Green Heart is one of them. Close to Barnsley, Dark Peak and Humberhead Levels are also NIAs. The aim of the Dearne Valley Green Heart Partnership for the Nature Improvement Area (NIA) is to help restore and enhance the ecological networks of the river, its floodplain, and its link to habitats on surrounding slopes and hills. The vision for the Dearne Valley Green Heart NIA is ambitious. At its core will be 1300 ha of reedbed, wet grassland, wet woodland and woodland, with a 2690 ha buffer area of farmland, amenity grasslands, and reclaimed industrial areas whose biodiversity value will be enhanced. The aim is to link up core areas and target farmland areas of poor ecological functionality covering 1700 ha. There are a number of projects to link people better to the landscape they live in, create new green infrastructure, undertake education outreach, and improve and create new habitats across the area. 1. Create and restore floodplain habitat at Houghton Washlands, Wombwell Ings and Carlton Marsh through direct management. 2. Restore woodland and farmland habitats in low ecologically functioning areas through targeted advisory work and uptake of environmental stewardship, management advice, and training. 3. Embed NIA principles in Local Planning Policy and create opportunities for biodiversity offsetting by working with local planning authorities. 4. Build popular support and understanding in the community through community wardens and a programme of events, cycle tours, education visits and community engagement. For more information see the Natural England website, which gives access to the first year progress report, and the Dearne Valley Green Heart NIA Facebook page. 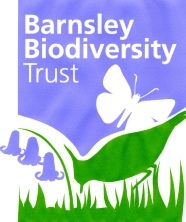 The Barnsley Biodiversity Trust is a partner in the NIA and updates on the progress made are given at the Trust’s quarterly meetings. The NIA restoration areas will cover 500 ha of semi natural grasslands, new woodlands and wetlands. It will create new core areas of 88 ha which are critical link sites between wetland core areas in the north and south of the valley. It will also enhance 1150 ha of farmland and 150 ha of woodland areas through targeted advice in the poor ecologically functioning zones. NIA Community Rangers, hosted by RSPB and funded by Defra, work on behalf of the DVGH partnership to engage with local communities and run practical conservation activities with local people. Barnsley Council has received the offer of Heritage Lottery Fund Landscape Partnership funding for the DVGH NIA. It is now in the development stage. The project aims to improve and increase access to the built, natural and cultural heritage of the Dearne Valley area and to increase the community's understanding, use and enjoyment of this heritage. The Dearne Valley NIA supports a rich diversity of wildlife including nationally important numbers of wintering water birds. The DVGH partnership are in advanced negotiations with local land owners regarding the transfer of lease at Houghton washlands, approximately 42 ha of land. This site would connect two existing core area nature reserves along the river corridor. The proposed arable reversion project will have a significant impact on the ecological value and connectivity within the NIA through the creation of UK BAP wetland habitat. The Environment Agency has undertaken flood risk modelling, at the site to ensure that the reversion of the area to a more natural system will maintain, if not exceed, the existing flood capacity of the water course and floodplain. The partnership is also keen to progress a project to use the old course of the river Dearne on the southern section at Houghton to by-pass the 3 metre weir for fish passage. The DVGH partnership has broadened the scope of the original Wombwell Ings project to include surrounding land owned by Barnsley MBC, the RSPB, the Gargany Trust and Yorkshire Water. This will significantly increase the ecological and social benefits of the project, and form a large core area of ecological importance. The Garganey Trust have discussed this scheme with the Heritage Lottery Fund and an ‘Early Stage Enquiry’ has been submitted. The partnership is in discussions with the local landowner regarding the sale of the arable site between Broomhill Flash and Wombwell Ings. The Cudworth Dyke project group are working towards a 20 year programme for both small and large scale improvements to the Cudworth Dyke water course. The group includes the Environment Agency, Yorkshire Water, Don Network Partnership, Groundwork Dearne Valley, Friends of Carlton Marsh and Barnsley Council. The Environment Agency provided about £100k of Water Framework Directive funds for drainage works at Boulder Bridge. Delivered by Barnsley MBC Highway Engineers, the work facilitates monitoring and prevention of contaminants entering the water course. Yorkshire Water commissioned Arup to complete a comprehensive options appraisal of the entire Cudworth Dyke catchment, which extends beyond the initial geographical remit of the NIA project. Groundwork Dearne Valley has been undertaking and economic and social review of the works to date, and have engaged with local residents and users of the Carlton Marsh site. An Integrated Habitat Network tool is being developed to help guide the conservation effort to reduce the effects of habitat fragmentation and enhance existing habitats. Forest Research has digitally mapped an initial suite of habitats and species, and developed some habitat networks using least-cost modelling. Forest Research are considering the use of the tool to map other DVHH NIA projects such as the Barnsley council grassland and woodland sites, as well as smaller scale improvements for wildlife for example the contributions of school grounds to buffer zones. The Natural England Farmland Adviser is in discussion with farms in the Dearne Valley, with focus placed on landowners in expiring Countryside Stewardship Scheme agreements. The post of NIA Riparian Adviser has been created to help meet NIA monitoring and evaluation needs. Funded by the NIA and hosted by Yorkshire Wildlife Trust on behalf of the partnership, the post will place particular focus on the survey and monitoring of riparian habitats and species, and involve landowner engagement and the provision of expert advice. Barnsley, Rotherham and Doncaster councils are working together on a new Guidance Note and Supplementary Planning Document for developments in the Nature Improvement Area. At this time Barnsley MBC is not progressing the concept of biodiversity offsetting; it is investigating support for environmental project through CIL and Section 106 funding. Voluntary Action Barnsley is working closely with local residents to undertake practical conservation tasks on the Barnsley MBC nature reserve known as Park Hill Brickworks, and a local community group has been formed. Activities within the NIA with schools have included informative and fun assemblies, vegetation maintenance and site clearance, habitat creation, and tree planting. More information can be found on the schools page. Barnsley council has introduced a new approach to grass-cutting for more than 75 hectares of grassland. Selected areas on some informal grassland locations maintained by Barnsley council are being allowed to grow longer between cuts to increase the abundance of native wildlife. Significant changes to mowing regimes have been undertaken at some public green spaces, schools sites and road verges: 31km of highways verges have been reduced to 1 or no cut per year; amenity grassland has 3 or less cuts per year. The amenity grassland at Barnburgh Tip is now managed by a local farmer who harvests a hay crop once per year. This has reduced from 13 cuts per year! Less frequent mowing offers the potential for local biodiversity to increase and helps to create buffer zones to sensitive core ecological areas where they are in close proximity. Technical grassland management advice and training has been provided by a RSPB specialist. Monitoring of plants, invertebrates, and vertebrates, using local volunteers and experts, on the grassland sites with reduced mowing should tell whether the pilot three year trial has been successful. Another council NIA project is the planting of 10 hectares of new broadleaf woodland over 3 years. Last winter a new woodland of 0.7 hectares was planted at Tank Row, Stairfoot, with the help of volunteer groups; broadleaved native trees were supplied by ‘The Big Tree Plant’, a Defra funded initiative. The new woodland will also help with flood alleviation. Over 2800 native trees have been planted at Barnsley Main by local conservation groups and volunteers with the support of Voluntary Action Barnsley, The Prince’s Trust and the Conservation Trust. The trees were supplied by a range of organisations, including 3000 Oak whips from Carpenter Oak Ltd.
A further eight proposed woodland sites have been sent for registration in readiness for future planting over the next two winters. Groundwork Dearne Valley organise a number of explorations of Hidden Gems, special sites within the NIA, when local people are invited to visit and learn about their local landscape. Partners in the NIA are contributing through enhancing sites by enhanced land management and planting woodland, and in many other ways. Funding for the NIA ended on 31 March 2015. A final report has been produced.